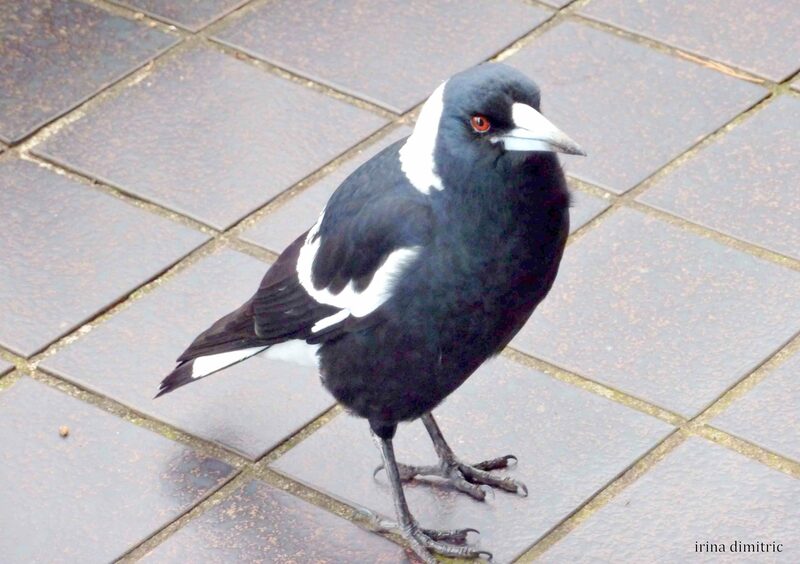 The Australian Magpie has a whitish beak with a black tip and sings most beautifully. The Kookaburra is a fat bird with a very strong beak but it’s not sharp, so when it grabs your finger, it doesn’t hurt at all. These birds like me because I feed them. They love kangaroo mince. 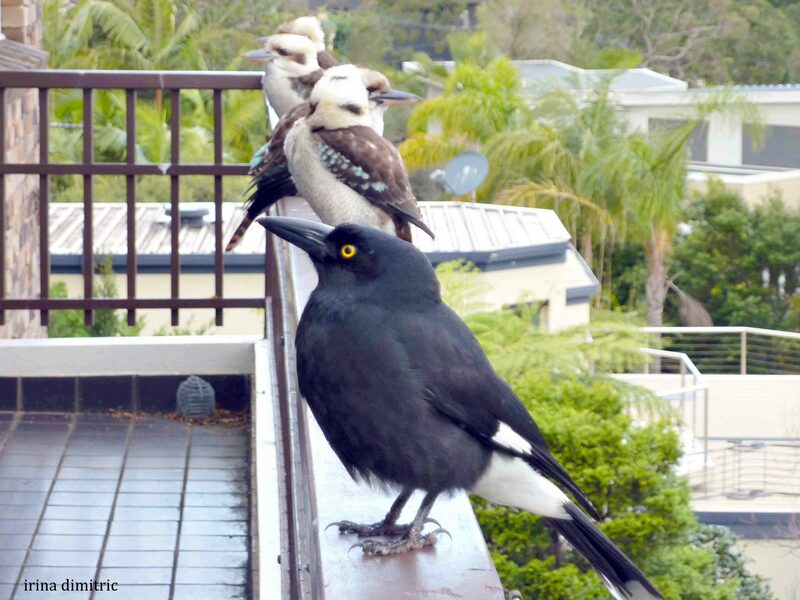 Magpies enjoy sunflower seeds too; I don’t know yet whether Currawongs would like them. I know they feed on berries in the bush, they just might like sunflower seeds too. 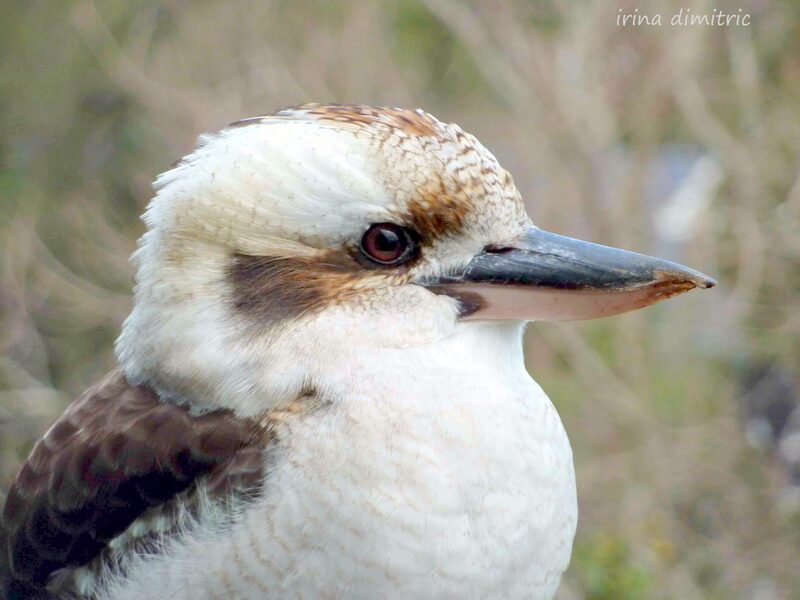 This entry was posted in Australia, Nature, Photography, Visual Arts and tagged Australian birds, carnivores, currawong, Irina Dimitric, kookaburra, magpie, nature, photography, photos, Sunday Stills, the next challenge: The letter "B", Visual Arts. Bookmark the permalink. Thank you for the lovely look into your life. I have learned something this post. The empty space left by the felled Tree in my garden has quickly been colonised by all kinds of ground hopping little birds. I am just starting to make a catalogue of them all, have to consult the ‘Bird Book’ a lot. My pleasure. I’m glad you enjoyed this post. Good grief, Irina, those birds must like having their pictures taken. Wonder how big their egos are. 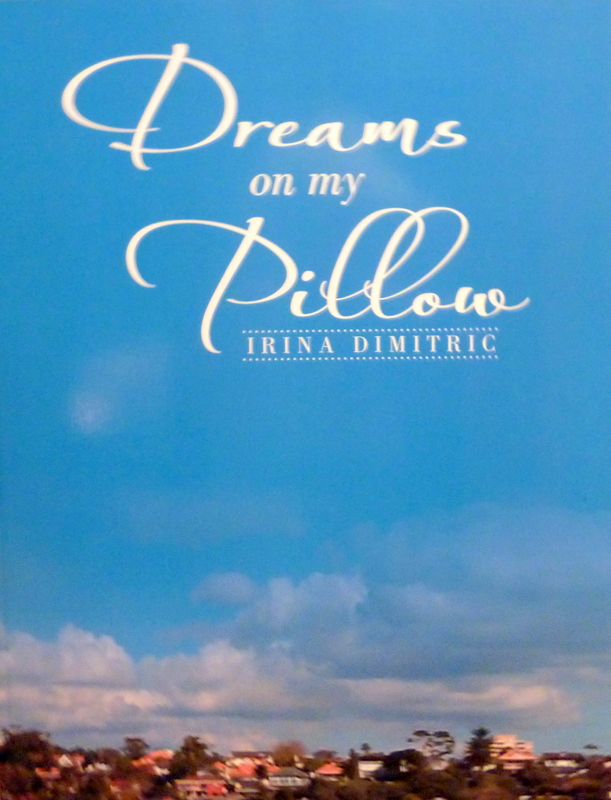 Irina, these are just gorgeous. I love that they come and sit on your balcony and wait to be fed. We feed the Lorikeets and other parrots in our garden. Some of the Lorikeets are quiet enough that we can approach the feeder to take photos but many of them are very flighty. That’s why we feed them out in our yard. They are extremely messy indeed. Also doves and seagulls are carnivores. Am I right?. Thanks, Aquileana. 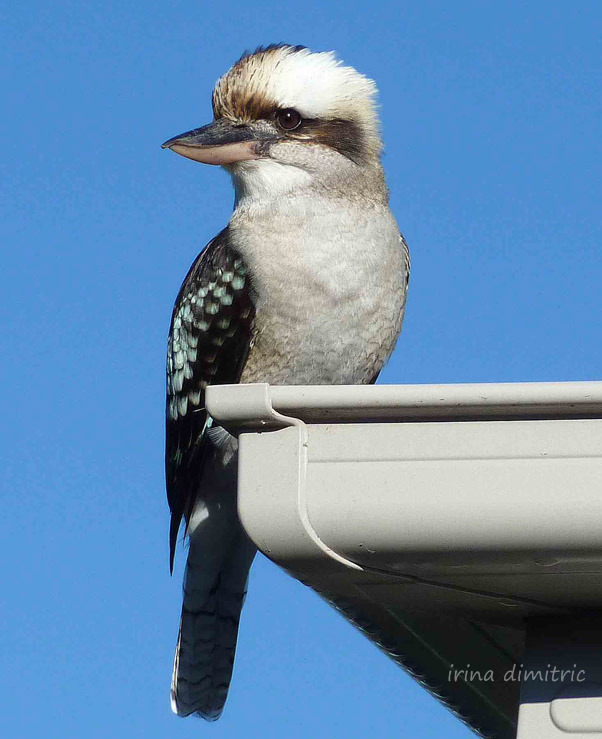 Kookaburras are very friendly and look so cuddly. Seagulls are carnivores but doves are not, they feed on seeds, fruits and plants. Those are some fun birds. Like the first picture and now am going to have to go look for the song of the magpie (ours here don’t have a song just an annoying sound). Ours have a plaintive sound, you could call it annoying too, but they also sing beautifully. I have a video of them singing on my balcony but haven’t learned yet how to post one. My pleasure. I’m glad you like them. I had never seen a kookaburra. Very interesting. It’s hard to imagine how it would look in reality, but in picture it seems to be a lovely bird: fluffy. Magpies are well-known to me, I have been drawing them sometimes. They are smart and love playing tricks on people, they also steel things. Have they stolen something from your backyard? Magpies haven’t stolen anything as yet, but kookaburras are very cheeky, twice it happened to my husband that a kookaburra grabbed a piece of chicken just as he was going to put it in his mouth!